Saving for a down payment? These easy tips can help. With rising rental costs and the amount of student debt at an all-time high, it's no surprise that many potential buyers are unable to save up for a down payment. If you've found yourself in this boat, don't lose hope. 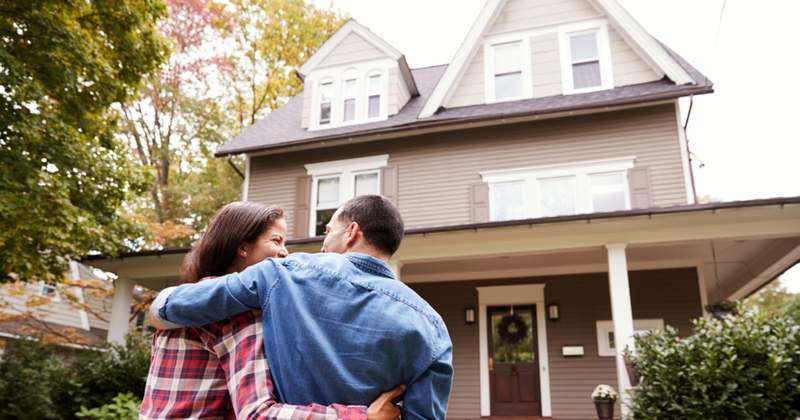 With the help of technology and a little foresight, you can save for that down payment -- and probably sooner than you think. Set up automatic deposits.Enable automatic deposits into your savings account. Schedule them right after paydays, when you know you'll have the cash available. If you can't automate your deposits, set a reminder to transfer money every two weeks. Try a round-off app. What if you could round off every purchase you make to the nearest dollar and then put that extra cash to good use? Apps like Acorns and Clarity Moneyround off your transactions and either invest your money or add it to a savings account. Cut down on spending. Find an area of spending that you can afford to cut back on -- maybe eating out or grabbing to-go coffees. Each month, tally up your saved funds and add them directly to your savings account. You'll be surprised at the impact. Clean house. Do a little spring-cleaning, and declutter those closets, drawers and shelves. Sell anything you don't want on Facebook, Craigslist or a consignment app. It may only be $20 to $50 at a time, but when added to an interest-paying savings account, it'll make a big difference. Remember, you don't need the mythical 20 percent down payment ready and available to buy a home. In fact, thanks to low down payment loan options and a plethora of down payment assistance programs, you can actually buy a property with much less than that -- sometimes just 3 percent!